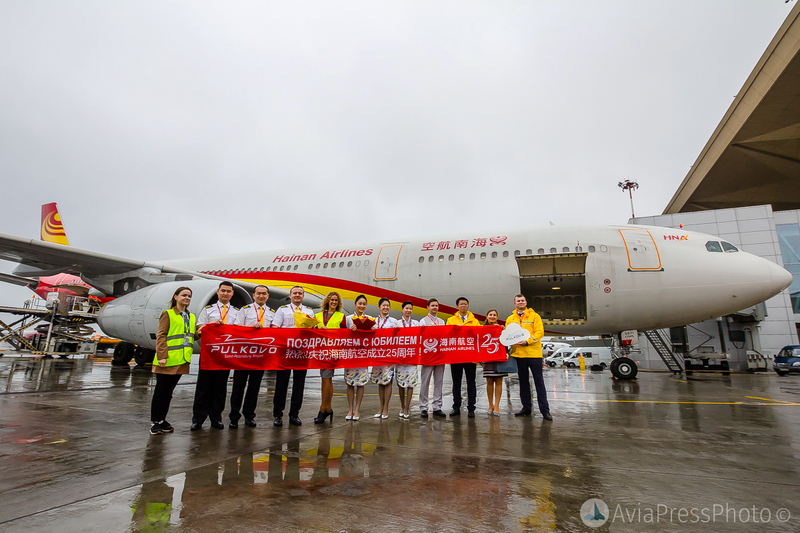 The management company of Pulkovo Airport “VVSS” and the Chinese airline Hainan Airlines on August 29, 2018 celebrated the 25th anniversary of the air carrier. Traditionally, the aircraft in the air harbor of the Northern capital of Russia was met with a water arch and a flower ceremony for the crew. 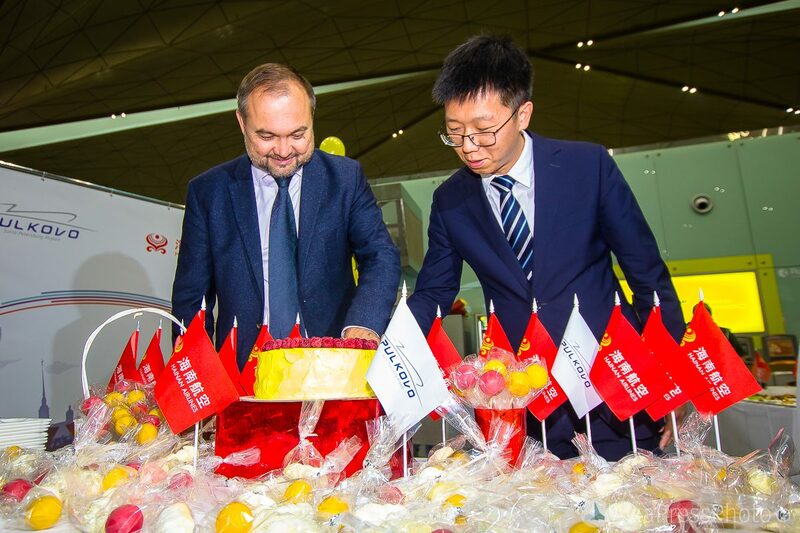 For passengers of the flight St. Petersburg – Beijing, Pulkovo Airport and Hainan Airlines prepared a holiday cake and gifts. 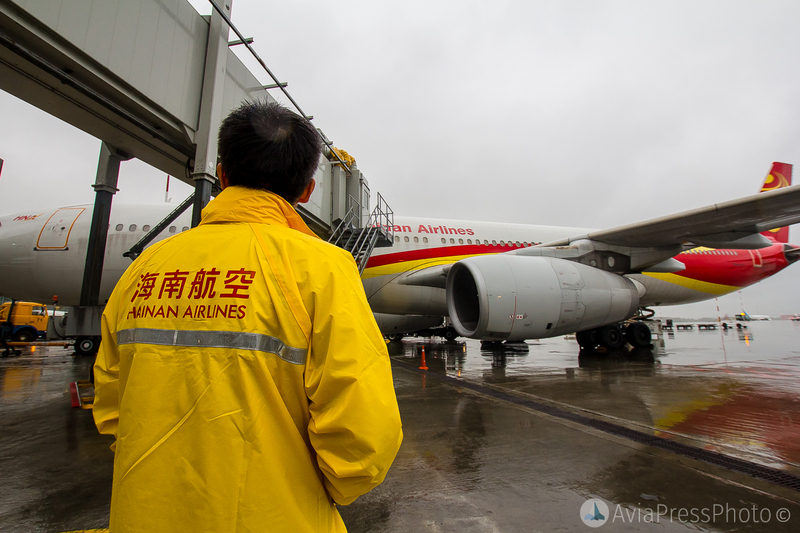 “Over the past 25 years, Hainan Airlines has made great success – since 2011 it has been a five-star airline according to the international Skytrax rating, and in 2017 it was among the top ten airlines in the world. 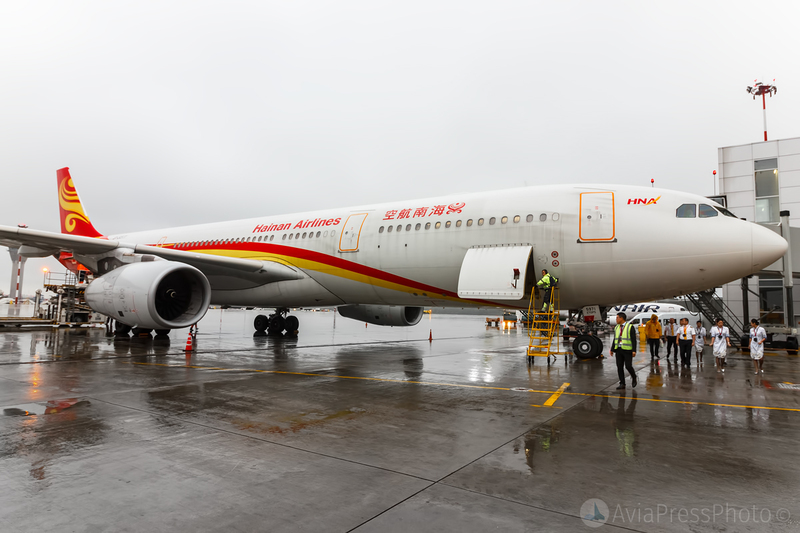 In recent years, the Hainan Airlines route network is rapidly expanding around the world. In 2018, the number of destinations in Russia increased due to new agreements with Russian airlines. There is an opportunity to offer passengers from different cities of Russia, such as Kaliningrad, Murmansk, Arkhangelsk, Sochi, Krasnodar and others, flights to China with a transfer at Pulkovo airport. 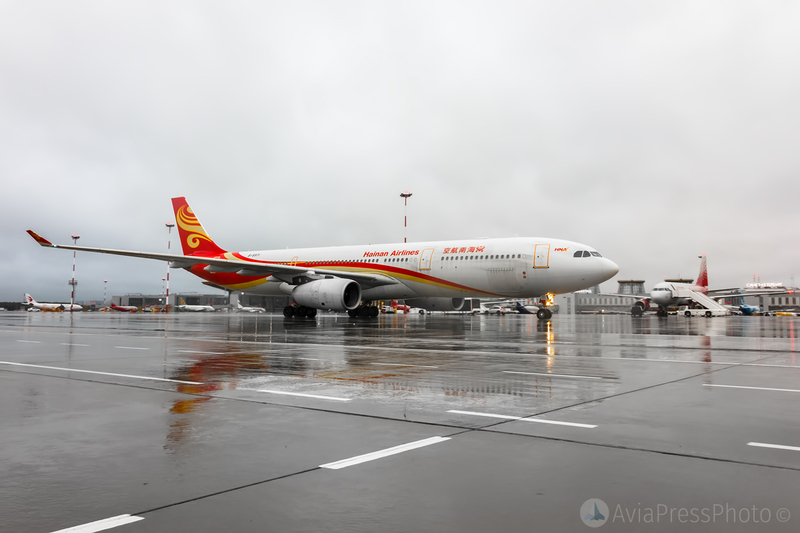 Competitive tariffs, convenient transfers and convenient transit at the airport of St. Petersburg contribute to an increase in the flow of transfer passengers”, the general director of the Hainan Airlines representative in St. Petersburg, Meng Chen, said at the press briefing. 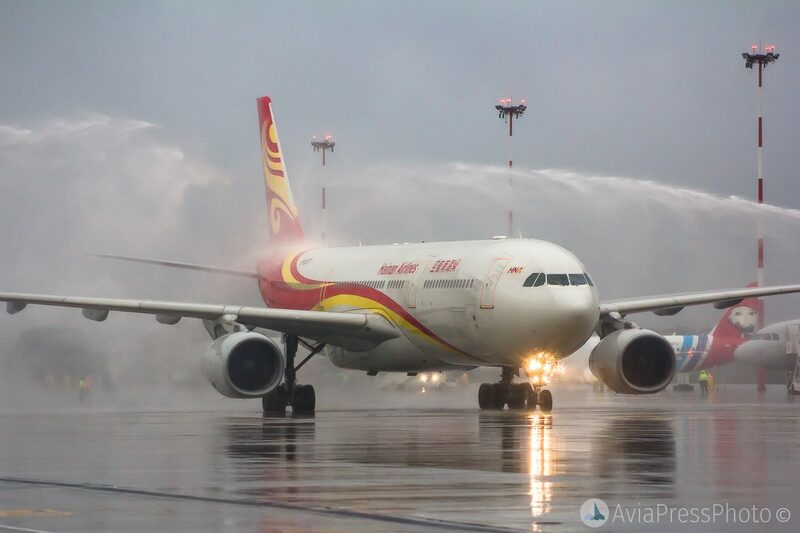 “One of the best airlines in the world, Hainan Airlines has been a partner of Pulkovo Airport for more than ten years. The carrier on a year-round basis connects direct flights to St. Petersburg and Beijing, providing an opportunity for a comfortable journey between the two capitals for tourists and business travelers. 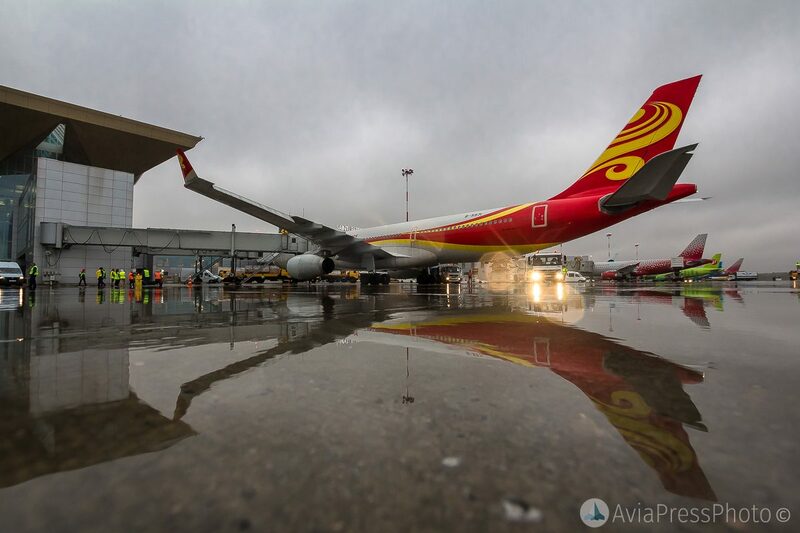 At the same time, China remains one of the most popular and rapidly growing directions of flights in the route network of Pulkovo Airport. However, the existing demand still far exceeds the supply. More than a third of the annual volume of traffic between St. Petersburg and the cities of China falls on flights with docking – this is about 126 thousand people a year. 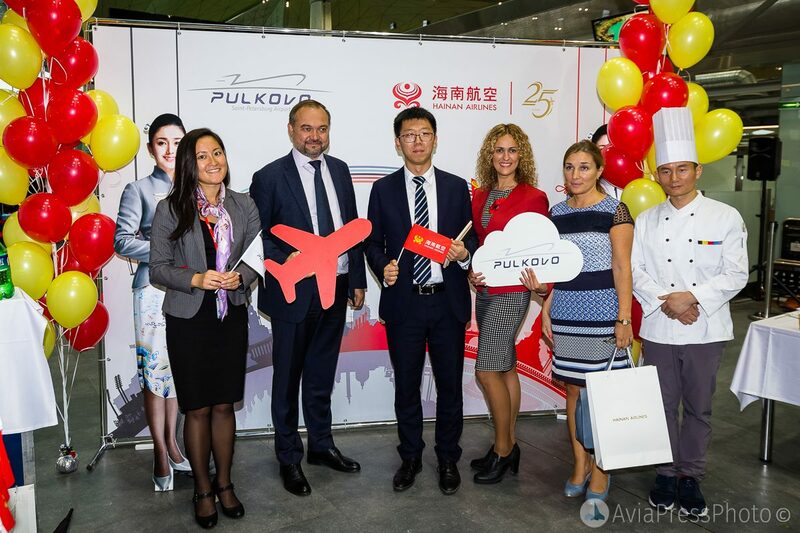 The potential of the market is huge, and we hope for further strengthening of cooperation between Pulkovo and Hainan Airlines on a long-term basis”, said commercial director of the VVSS Evgeni Ilyin. 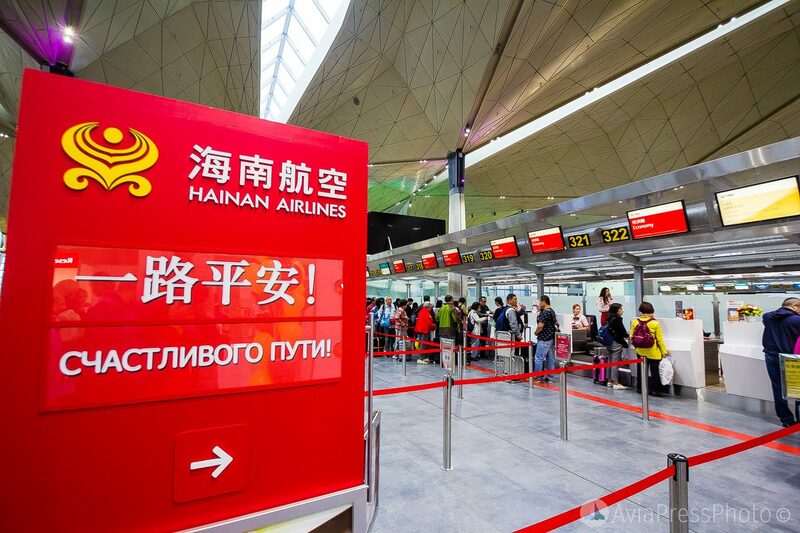 In January-July of 2018, Hainan Airlines served 25.3 thousand passengers at Pulkovo Airport. The share of the carrier in the total volume of direct passenger traffic between Beijing and St. Petersburg, taking into account charter flights exceeds 85%. Flights are carried out on comfortable airliners A330-300, designed for 292 passengers. According to the results of 7 months of 2018, the direct passenger traffic between St. Petersburg and the cities of the People’s Republic of China amounted to more than 135 thousand passengers, exceeding by 18% the same indicator of 2017. Regular direct flights from St. Petersburg to China are performed in Beijing, Shanghai, Urumqi, Wuhan, charter flights to Guangzhou and Shanghai. Since the beginning of 2018, 4 new Chinese destinations have added to the Pulkovo airport network: Shenzhen, Nanjing, Chengdu and Xian. Pulkovo in December 2016 became the first Russian airport that has confirmed compliance with high standards of quality of services for Chinese travelers, having received the Certificate of Chinese Chinese Chinese Academy of Tourism for the introduction of services for passengers in Chinese.